Photographer: Damon Baker. Model(s): Lily Cole. Source: S Moda. 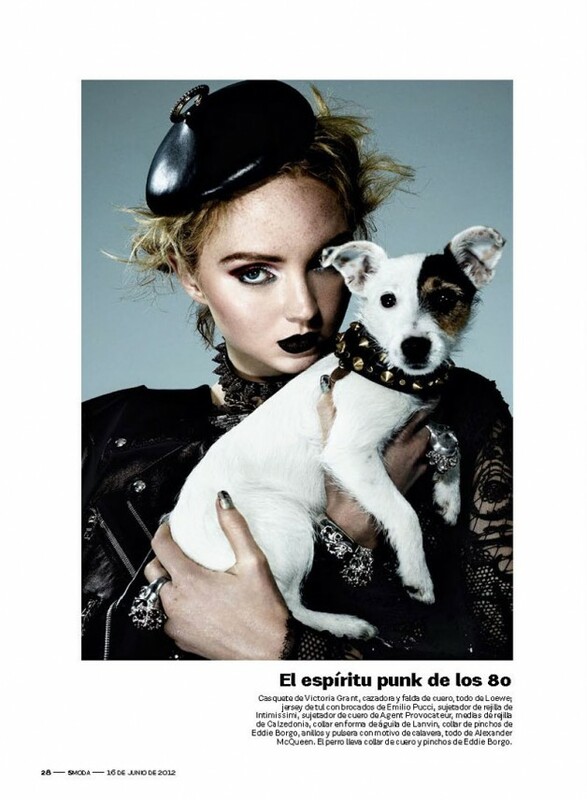 Damon Baker helps S Moda usher in their 16th cover-shoot, with British star, Lily Cole. ‘London Calling’ is a fabulously fresh take on updated 60’s-trends, with an underlying theme of Summer Olympics. Playing host to the upcoming 2012 “Games,” Baker mixes current styles with famous British trends, for an over-the-top homage to the style mecca that is London, England. Fighting the times, Lily Cole is a modern mix of Twiggy & Olive Oyl, in this ode’ to the fashionably odd. Damon Baker for InStyle UK, Ready to Rock Spring 2012.